This is quite an interesting picture which was taken in the same room as the Sandy picture on theother picture page. What we see is a man (Nicholas) standing in a suit wearing a white shirt with what looks like a red patterned tie. To his left and right are two spirits trying to form but there was not enough energy for them to form. I asked to take a picture before I used the camera. 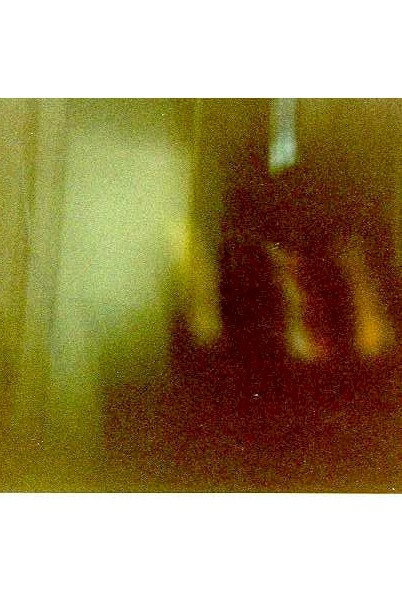 To the left of the spirit forms you can see a door, in white which contrasts with the spirit forms. You can also see above Nicholas's torso where his head is, a mirror, which gives the outline of his head in a silhouette form. I can assure you that there was nothing there when I took the photo but an old dressing table. The picture background is dark in nature due to wooden furniture placed along the wall. 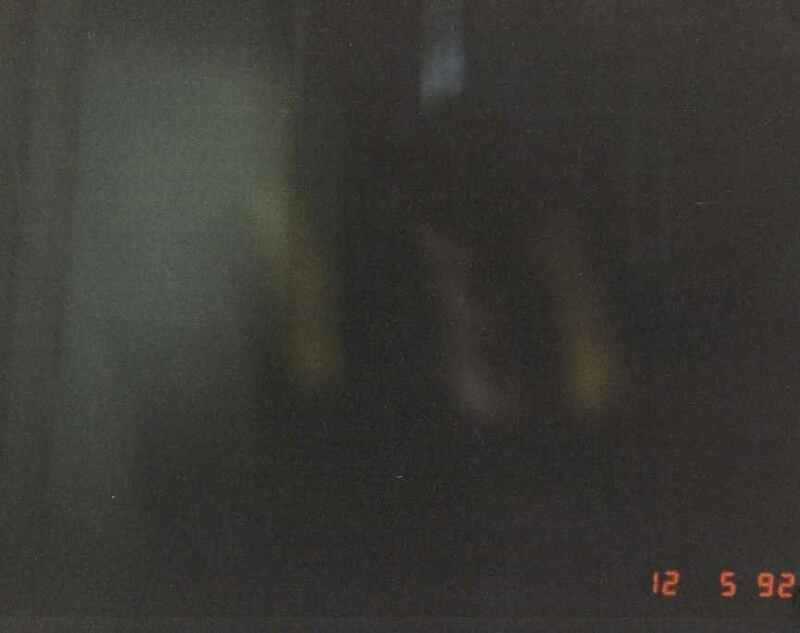 Here is another view of the picture below with the darkness enhanced to see the figures more exposed.